The SI Imaging product line consists of a comprehensive set of optical and X-Ray capabilities, designed to fit the needs of specialized researchers, small teams or large imaging cores with high throughput. 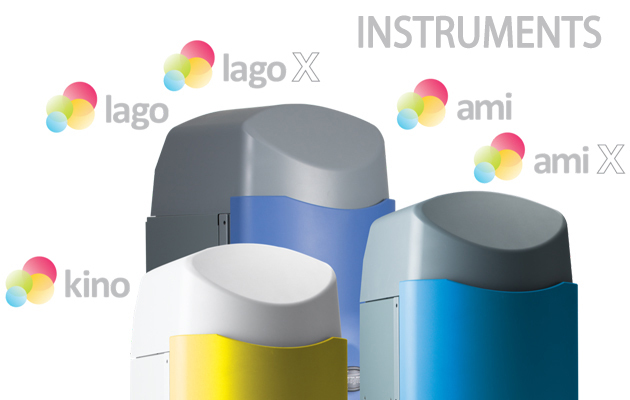 Industry labs, imaging cores and research teams that seek uncompromising performance, unmatched capabilities and high specimen throughput will find the Lago and the X-Ray capable Lago X as the only choice out there. Teams looking to get that next instrument with exceptional performance and reliability, and within a practical starting budget with options to upgrade later may find the Ami HT and X-Ray capable Ami HTX the right choice. The Ami HT and the Ami HTX provide outsize performance and great value in a bench top form factor. Available High-Throughput (FOV) upgrades, X-Ray upgrades as well as custom filter and Access Port retrofits can boost the Ami’s performance without it ever leaving lab. And with minimal downtime. The Kino comes ready to go with all the essential features that make SI Imaging products perform better but at one low price that makes it easy to have one on every bench. Deep-cooled camera, LED based illumination, absolute calibration and much more – are all standard. The Kino is also a perfect for the specialist researcher complementing installations of the Lago at imaging cores.